Twenty years just pass by when you’re having fun, right? A new logo, team expansion and a more expansive television deal – to go along with, most importantly, the avoidance of a what would have been a calamitous work stoppage – has led to the buildup to the 2015 Major League Soccer season as being one of the most anticipated seasons since the inception of the league in 1993 and the inaugural season of MLS three years later. Here is hoping the league can pick up where it left off in 2014, where the LA Galaxy won an unprecedented fifth MLS Cup on an added extra time goal. Here are just a few storylines to look out for heading into the New Year, as MLS hopes to being its own brand of March Madness as the season starts this weekend. 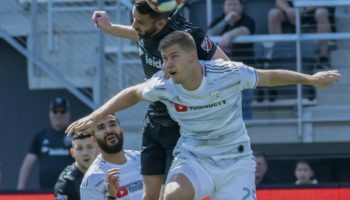 The 20th season of Major League Soccer sees the league expand – through contraction, in a way – to 20 franchises, with the much-anticipated additions of Orlando City SC and NYC FC, as well as the contraction of Chivas USA. Both of the newcomers also bring some major European star power, with former FIFA World Player of the Year Kaká joining Orlando and David Villa, the all-time leading goal scorer for the Spanish National Team, now a member of Manchester City-owned NYC FC, who will play their home games at Yankee Stadium. Former Chelsea and current Man City midfielder Frank Lampard was initially was supposed to arrive in the Big Apple with NYC FC in time for the season, but it looks as if he will come over stateside in the summer, as he’s hoping to be part of a Premier League championship run with the defending champions of England’s top flight. 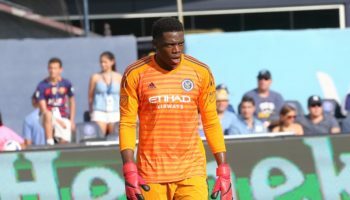 Like Manchester City and the Yankees, who are partners, NYC FC has set loft expectations, especially with MLS and American soccer legend Claudio Reyna running the team and former MLS all-star Jason Kreis being the head coach. Also over the summer, Liverpool legend Steven Gerrard is set to join the Los Angeles Galaxy, and fans of the league, let alone Los Angeles, can only hope the 35-year-old has something left in the tank for this season after Liverpool’s season of trying to finish in the Top Four of England as well as taking part in a UEFA Europa League campaign. Toronto FC made a big splash in terms of its designated player allocation, getting US international striker Jozy Altidore and Italian international Sebastian Giovinco in hopes to increase the scoring output north of the border. 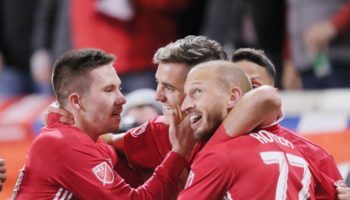 Each and every season, MLS has been able to improve the depth of the league in terms of its talent, and, even with the expansion of the league, the quality of play may not be better than it has the potential to be in 2015. Like a few of the other major American sports leagues (NBA, NHL, WNBA), the balance of power in the league has been in the Western Conference for some time now, and the next domino knocked down due to expansion just turned the West into 10-legged kraken. 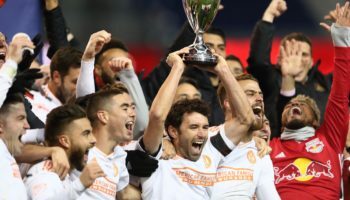 Sporting Kansas City and the Houston Dynamo, both two-time champions of the league, both move to the Western Conference to balance the league and have 10 teams in each conference. To put it another way, nine of the last 10 MLS Cup winners now reside in the Western Conference. That goes along with the defending champions, the LA Galaxy, who will find out what life is like once again – but permanently – without Landon Donovan, who hung up his boots following the MLS Cup win. Probably the favorite going into this season is perennial powerhouse Seattle Sounders, who might have the best combination up front with American Clint Dempsey and Nigerian stalwart Obafemi Martins, to go along with Chad Marshall, the three-time MLS Defender of the Year. 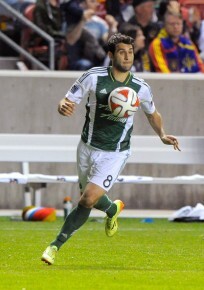 Seattle’s Northwest rival, the Portland Timbers, should be a contender as long as playmaking midfielder Diego Valeri comes back from an ACL tear he suffered on the last day of the season. The Timbers also have an overseas international of renown, Ghanain goalkeeper Adam Kwarasey, who has routinely been the No. 1 keeper for arguably the best soccer-playing nation in Africa. Thierry Henry tried all he could to bring the New York Red Bulls a championship, but it just wasn’t meant to be for he and the Jersey-based franchise, who are one of two original Major League Soccer franchises never to win an MLS Cup. 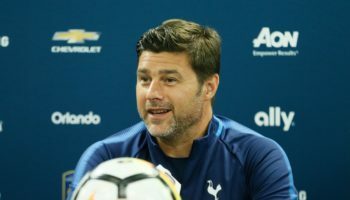 The other is the New England Revolution, who came so close in losing in the final last season to the Los Angeles Galaxy in added time. Both should be very optimistic going into this season because of a couple of players who had career years in putting the ball in the back of the net. New York’s run to the Eastern Conference Finals last season came on the shoulders of former Manchester City and Southhampton player Bradley Wright-Phillips, who led the league in scoring with 27 goals. How BWP performs without Henry up top might be the Red Bulls biggest questions, as Henry tied for second in the league with 14 assists. New England midfielder Lee Nguyen was a revelation last season, scoring 18 goals and coming up big in big games all the way through to the MLS Cup. Adding US international holding midfielder Jermaine Jones from German power Schalke fortified an already stout defense, and also provided a legitimate threat in free kick scenarios.